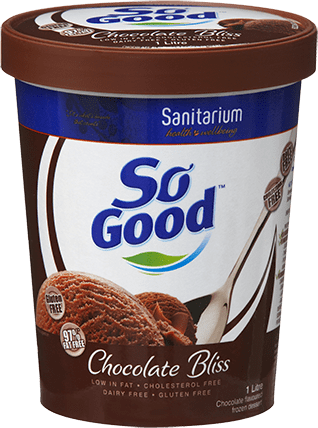 So Good Chocolate Bliss is a delicious frozen dessert. 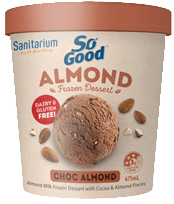 Not only is it dairy-free and 97% fat free, there's no cholesterol and no lactose or animal fat. 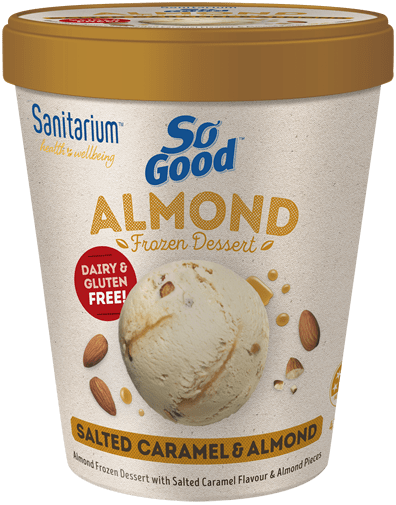 This is definitely a must have for the freezer. 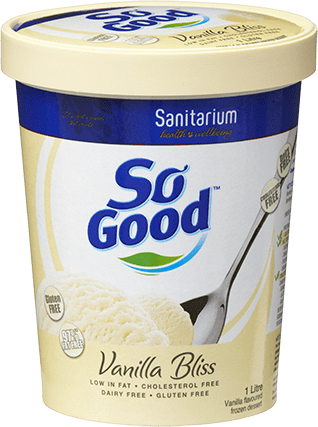 So Good soymilk (75%) [filtered water, soy protein (3.5%), maltodextrin, vegetable oil (sunflower), cane sugar, minerals (calcium, phosphorus, magnesium), acidity regulator (332), antioxidant (ascorbic acid), vitamins (B12, A, B2, B1)], cane sugar, glucose syrup, maltodextrin, cocoa (2.5%), emulsifiers (471, 477), vegetable gums (460, 412, 466, 407a), flavours, salt.